Abigail Simmons is thirty-five and has returned to her home town for some respite and to lay some old ghosts to rest. The only thing Abigail has ever excelled at is running, she has run her whole life, but now, with nothing else to run from she returns to her happy place, a place that holds her fondest memories, a place that she just wants to see and feel once again. The trouble with ghosts though, is that they never like to be laid to rest, they come back and haunt you. 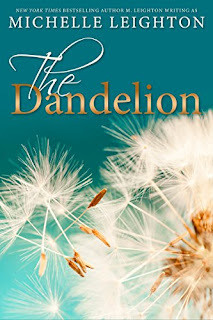 The Dandelion is a story that has a little bit of everything, second chances, childhood love, heart breaking prose and for me, was one heck of a tear jerker, but most of all, it exuded hope, sometimes where hope never existed to begin with. Abigail returns to her childhood town and rents a place on the lake for four months. She gives herself that time to make amends for her past, so she can move on to the next stage of her plan with a clear heart and conscience. It isn’t long before she crosses paths with her childhood love, Dr Sam Forrester, the one person that she didn’t want to leave the first time. Sam is now married and has a young daughter, on the outside he seems to have it all, but behind closed doors his life is anything but. His wife is dying and her dying wish is for Sam to find love again and Abigail is the perfect fit. Sam and Abigail have never stopped loving one and other; even though both had moved on in their lives a huge chunk of their hearts still belonged to the other. Those feelings never die and are only reignited when their paths cross once again. Sam’s wife was one in a million, perfect on the outside and the in, she loved with her whole heart and Sam and their daughter were the centre of her whole existence. Sara has known she was dying for a long time, but she wants her family looked after before she leaves and when Abi comes back to town, she sees it as fate, kismet, and makes it her dying mission to get them back together. This story was so unique and so emotional. Abigail keeps her past to herself and you know that something bad had happened to her, but you are never told until the author wants you to know and it comes with the biggest impact. When Abigail’s true plans come to light, my jaw hit the floor and from then on in I was so emotionally invested, I literally read the last few chapters in floods and floods of tears. Michelle Leighton managed to tap into every single emotion I possess, she plucked at every single heart string and she kept those emotions on a string and she was the puppet master. Yes, this is a tear jerker, yes it will make you feel, but as I said above, it is full of hope. Hope where two people think they have none and yet find it within the other. Totally loved it.